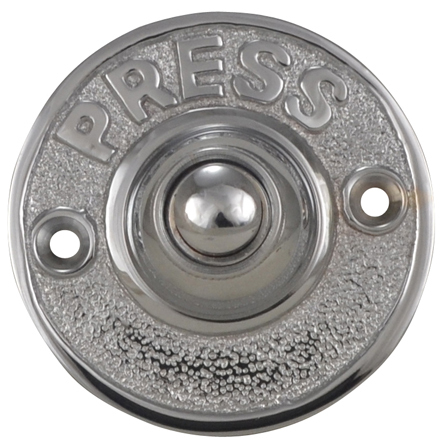 Classic American Style Door Bell (Polished Chrome Finish). Measures 2 1/2 Inches In Diameter. Direct screw mount and connects on normal door bell voltage with two common wires. Don't be fooled by the Anodized less expensive metal parts - this one is solid brass and finished by hand. Uses 24 Volt maximum (standard doorbell circuits). Includes all necessary mounting hardware. Made from solid brass.